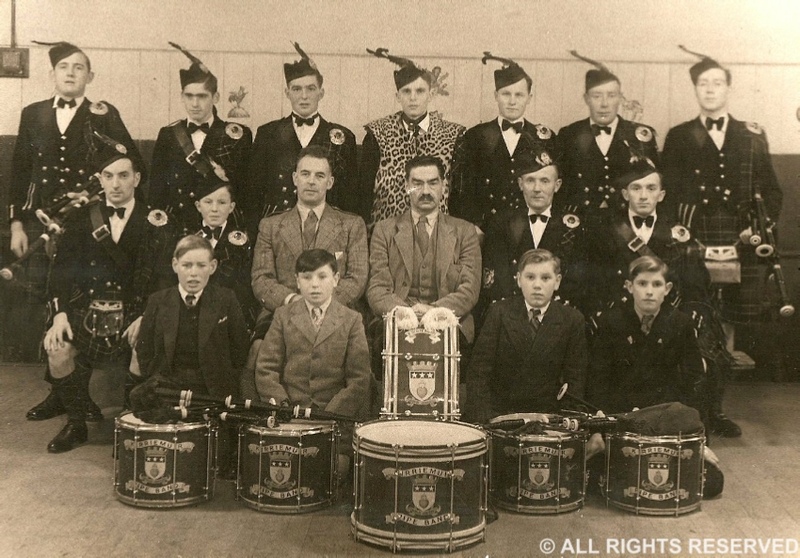 This is the "middle band" to be formed in Kirriemuir. 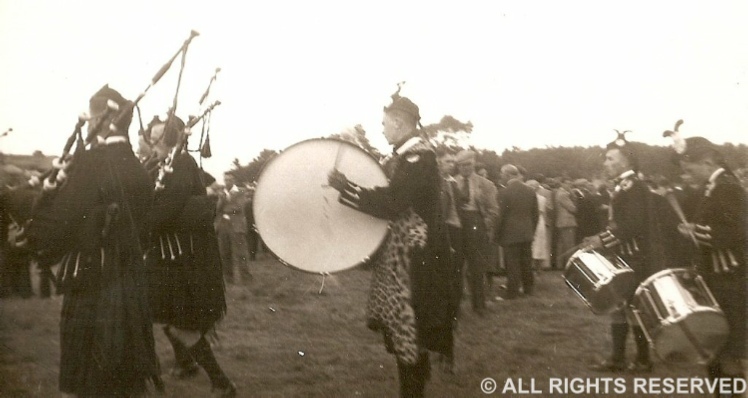 The first band ran from 1930 till 1939 approximately. The middle band formed in 1948 and disappeared again in 1959. 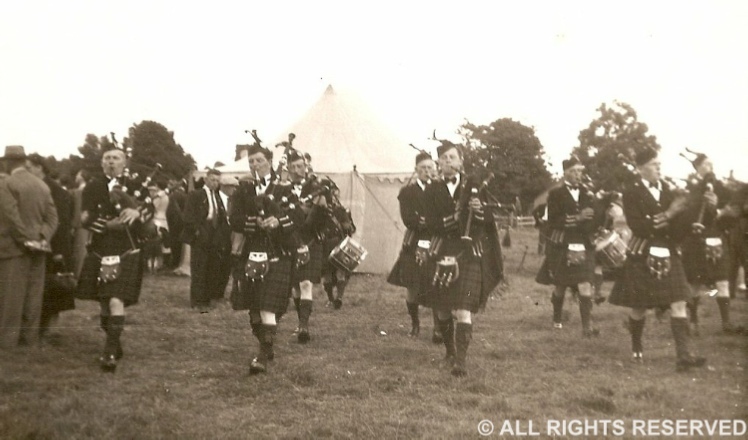 The third band was reformed in 1977 to mark the Queens Silver Jubilee with Arthur Balfour as Pipe Major. 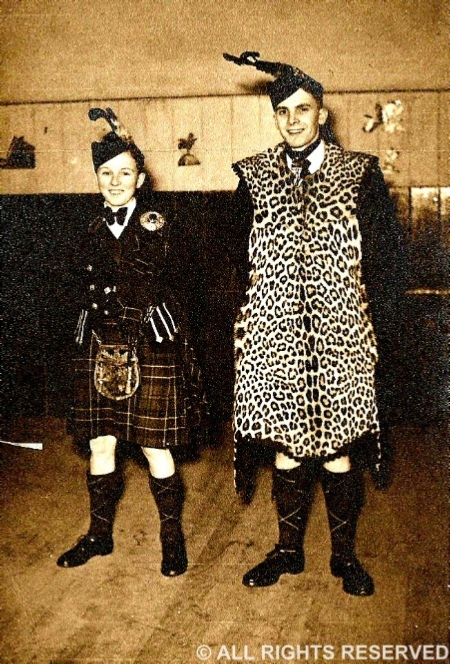 and Sandy Campbell later Forfar Burgh and then of Queensland Irish. thinking about it, wasn't too bad wages especially for Jim Taylor the apprentice plumber. Games in the Solo Piping, Highland Dancing, Tossing the Caber, Hammer and the rest of the Heavies. Not bad when you realise that this also included the Cumberland Wrestling. 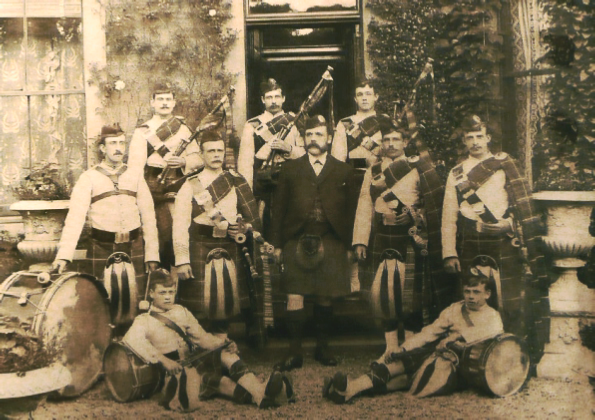 Sandy returned with his Queensland Irish as Pipe Major of this highly efficient Grade 2 band.